* To introduce, produce, promote, teach and extend the game of Rugby Union Football in all its aspects, within the College, within the community, and South Carolina. * To insure that the playing of the game of Rugby Union Football within the said area is carried out observing fair play and safety according to the Laws of the Game and a sporting spirit. 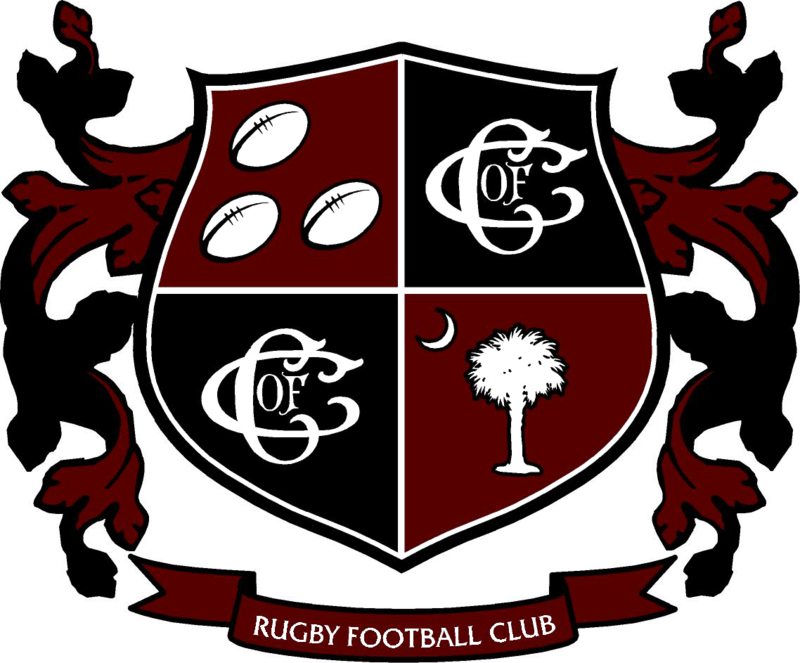 The COFC Men’s RFC membership shall be open to any willing and able person attending the College or University of Charleston that wishes to contribute in the objects and purposes of the club. * Has paid his dues to the Club, or is in the process of paying the dues, in the amount specified by the date specified by the Club President. * Is familiar and follows the rules set forth by, but not limited to, this Constitution, the criterion set forth for selection, the By-Laws, and the Code of Conduct. * Has fulfilled any other requirements set forth by the College. Such requirements will be later specified in the Amendments. * The Low Country Athletic Association. * There will be two (2) mandatory meetings each year: at the end of season and at the beginning of the season. * The president shall chair all the Meetings. * A quorum of at least one-half of the all the members must be present to conduct club business. * Practices will be held three times a week. * It is the responsibility of the executive officers to ensure that the information regarding practices and meetings is dispersed. The execution of this task is at the discretion of the officers. * An emergency meeting can be called if two-thirds of the team deems it necessary. The date for this meeting must be no sooner than seven (7) days after the vote. A formal vote to establish the two-thirds will be taken at one of the regular practice sessions. * The arrangements for the meeting will be made by the executive board. * President: The President shall of the Club shall be the Chief Officer of the Club and shall have general and active supervision over the business of the Club, both explicitly written and implied, and over see its several other officers, subject however to the control of the voting members of the Club. The President shall also be the chief representative of the Club in all outside meetings, activities, and functions. * Vice-President: The Vice-President shall assist the President in all duties assigned to the President, and shall serve in his stead should the President be absent or unable to complete his duties. These will include all responsibilities and duties as may be assigned to him by the President, members, Executive Committee and/ or the By-Laws of the Club. * Secretary: The Secretary of the Club shall keep the minutes of all the General Meetings, and Emergency Meetings of Club; see that all notices are duly given; be custodian of applicable club records, including, but not limited to, CIPP registration; conduct and have charge of all relevant Club correspondence; and in general, perform all the duties incidental to the office of Secretary. These duties are placed upon the Secretary under the assumption that he shall be authorized to so, by the President deeming him proper. It is also the responsibility of the Secretary to Schedule all matches. Other duties may be assigned to the Secretary by the President, members of, Executive Committee, and/ or the By-Laws of the Club. * Treasurer: The Treasurer of the Club shall have charge of, custody of, and be responsible for all funds of the club. The collection of dues, deposit, and disbursement of funds, and exhibition and auditing of accounts shall be directed by the members of the Club. He shall give a report at the end of each season accounting for all of the expenses and assists. * Social Chairman: The Social Chairman will be responsible for all activities of a social nature, post game, and club functions, and to ensure that these events are conducted in a manner becoming of a member club of USA Rugby, the College of Charleston, and the COFC Men’s RFC and players conduct themselves in a manner becoming of an ambassador to USA Rugby, and the College of Charleston, and the COFC Men’s RFC and consistent with the Code of Conduct set forth by USA Rugby, the College of Charleston, and the by-laws of The COFC Men’s RFC. Any infractions shall be reported to the Executive Board, and will be dealt with in accordance with the By-laws of the COFC Men’s RFC. * Captain: Two captains will be voted by a simple majority of the club. There shall be one back Captain and one forward Captain. The Captain of the Club shall have charge of the preparation of the Club for all matters concerning the playing of rugby union football. It is not necessary that Captain not be on the Executive Board, nor is it required that he is. * The Elections for the Executive Board will be held at the end of the season meeting after the Spring Season. All offices except Captain are for the term of one year. The captains will be elected every season. * Nominations for candidates will take place before each office is voted for, must be seconded and a written ballot shall be taken for each office. I.e. Nominations for President shall be taken, then a vote taken. Nominations for Vice-President shall be taken and then a vote is to be taken, etc. * In the case of more than two candidates, a majority is not necessary, just a plurality. * Should a tie arise, a revote will be taken. If the tie persists than the highest ranking member of the exiting Executive Board not involved in the tie shall break the tie. The order of rank is President, Vice-President, Secretary, Treasurer, Social Chair. If all are officers are involved in the tie than a game of poker, five (5) card draw, shall be played, with the winner being awarded the office. Ties in the poker game shall be dealt with in accordance with the laws of Poker. * If the need arise to remove an officer than an Emergency Meeting must be called in accordance with the requirements set forth in Article IV. * The vote to remove an officer from office requires no less than a two-thirds vote of the members at the meeting.Absentee voting is prohibited. * Should circumstances dictate that an officer leave before his term has terminated, the Executive Board will immediately appoint an interim officer until the next General Meeting. At that meeting, all members are eligible for the vacated office. Existing Executive Board Members may defer a nomination at their discression. If they choose not to, and their current office is vacated, then another election will take place immediately to fill that office. * That part of any net profit (after payment of all proper and relevant outgoings and expenses) that is due to the club by Prior agreement and is derived from any special event (tournament, etc), match, or other function organized by the Club in cooperation with any other group; any grants, or donations; any funds provided by the College to support the Club in its needs and functions. * The funds will be used to pay for equipment, referee fees, travel expenses, tournament entry fees, and Union, Territory and National dues. * Committees will be formed when they are necessary to organize social events, obtain fields, or anything else deemed necessary by the Executive Committee. * The coach must have a firm grasp of the basics and be acquainted with the rudiments of teaching. Should it be necessary that, in order to improve himself, the Coach is to attend a coaching or refereeing clinic, or anything of that general nature, the Club will make every reasonable effort to financially support this venture. The Club will also make available funds to assist in the purchase of any materials (literature, videos, etc), that will assist the coach in more effectively carrying out his duties. * The Coach should provide a good role model for the Members to follow. * It is imperative that the Coach work closely with the Captains in order to properly assess team goals and needs. * The Coach must also follow the Code of Conduct set forth. * The Coach should attend matches and practices. * The nature of the Club dictates that a vote will be taken on whether to acquire a specific person as Coach, or whether to retain a person as a Coach at each end of the season meeting. A simple majority is required. * It is up to the Executive Committee to find possible Coaches. * An advisor must show an interest in the team and its standings, but need not make physical appearances at games or practices. * Potential advisors will be interviewed and selected by the Executive Board. * The executive board will meet with the Advisor no less than three times a season. * Due to the gravity of this Constitution, the amount of material in this Constitution, and in the best interest of the Club, a four-fifths majority of all members is required to Ratify the Constitution. * An Amendment is defined by any change, regardless of subtlety of change or consequences, to the original Constitution after its Ratification, or its Amendments. * This Constitution may be amended by a two-thirds of the members present at a General or Emergency Meeting. * The details of any proposed amendment shall be circulated to all Members no less than three days before the meeting at which the proposal is to be voted on. * Any proposed amendments must be submitted in writing to the President and Secretary of the Club at least seven days prior to the meeting at which the proposal is to be voted on. The Bylaws, Code of Conduct, and any other document will be included in a separate document. The Executive Board will provide The Department of Campus Recreation with a copy of any and all of these documents.